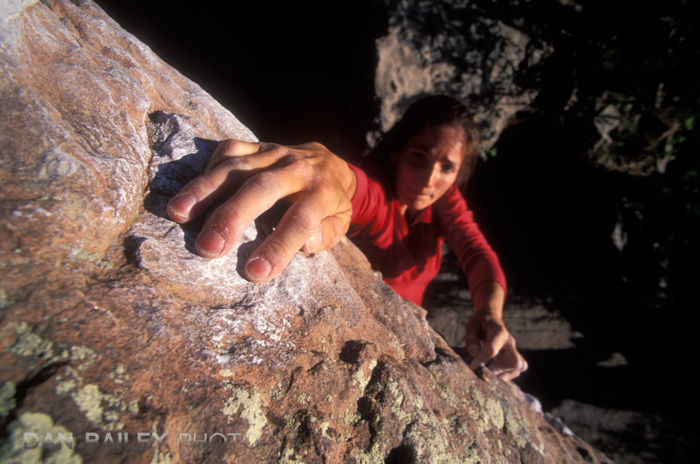 In 1993, a French-born Vietnamese scientist, photographer and mountain climber/guide named Tuan (QT) Luong came to the United States and enrolled at the University of Berkeley, largely because of its proximity to Yosemite, where he liked to rock climb. He had originally planned to stay in California for a short time during his research project, but as it often happens with young, adventurous souls, something happened that totally derailed his itinerary. 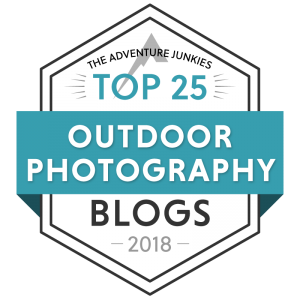 Inspired by the beauty of Yosemite and the rich tradition of American landscape photography, QT fell in love with the National Parks and began a 20-year quest to photograph all of America’s National Parks with a large format 5×7 view camera. This was a truly monumental idea, as noone had ever photographed every single Park in the country before. 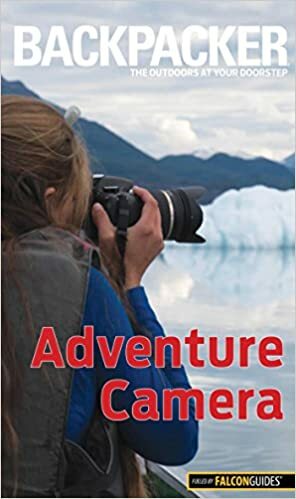 He spent many days alone each year, hiking, padding and exploring the wild, and often times rugged terrain of numerous Parks all over the country with a 75 lbs backpack. 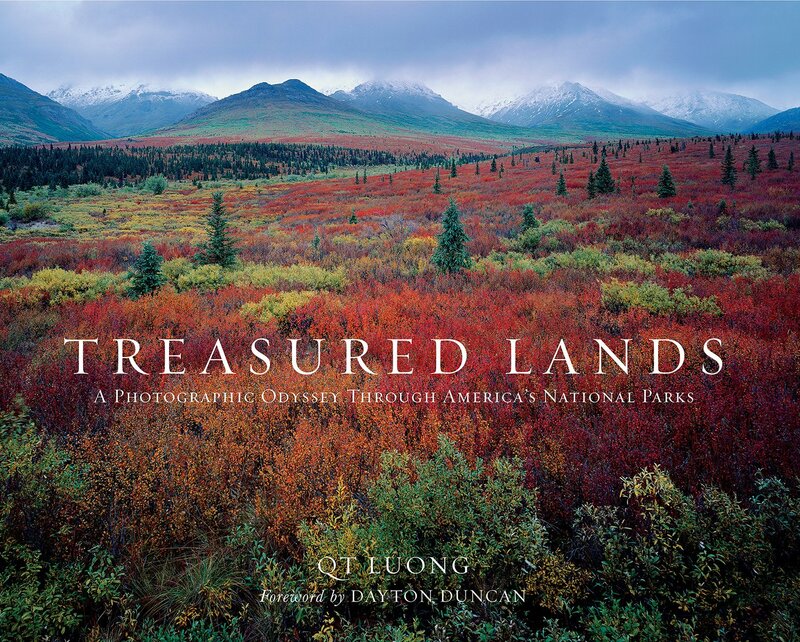 The result of this amazing project is QT Luong’s brand new book, Treasured Lands: A Photography Odyssey Through America’s National Parks. This massive 456 page, 7.4 lb coffee-table tome is easily the most amazing, most magnificent, most beautiful book I’ve ever seen. 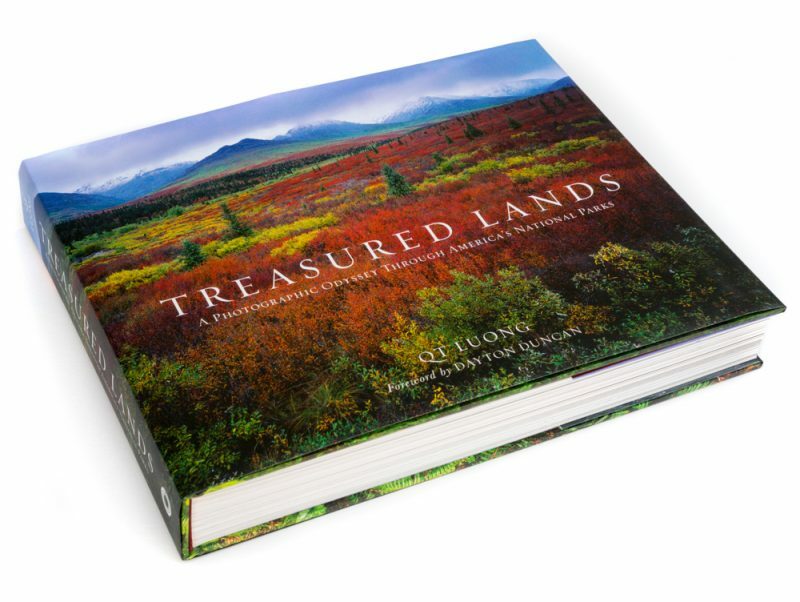 With over 500 photographs, 60 maps and 130,000+ words, Treasured Lands is a gorgeous visual journey through the diverse beauty of America’s greatest natural treasures. Treasured Lands is essentially one giant photo essay that will draw you into every single page. QT is an incredibly talented photographer and he has filled the book with such a beautiful collection of images that draw you into each page. He uses such a great diversity of light, vantage point and framing in his imagery, that you never get tired of looking at his work. And it’s not just super colorful eye candy, QT has such an engaging and honest style that he pulls you into each scene with equal amounts of comfort and awe. I love the variation of image collections he presents; some full page, some double page spread, and many collages of two and three images that go together so nicely. I can’t even imagine how much time it took him to compile and select which images to use in the book and which shots to arrange with others. Every set tells a story, and that’s the point of his book- to tell the unique story of the individual beauty that each National Park holds within its boundaries. Treasured Lands isn’t just a giant photo book, though. It contains a wealth of information about the history, geography, and many other important aspects of each Park, as well as maps that show you where he shot each image. This format actually makes Treasured Lands incredible manageable. It would be easy to get lost, and even intimidated inside a book of this magnitude. However, with this layout, you can dive into Treasured Lands and explore one or two parks in a sitting if you have limited time. I love going back and forth between the gorgeous full page images, reading the captions for each shot, and then looking at the maps (I’m a huge sucker for maps!) As I said, you could get lost for days in this book, but with the straightforward format, you can always find your way in and out with a great deal of ease. One thing I really like is that instead of using regular captions for each photo, QT includes an entire “caption page” for each Park, with thumbnails and detailed writeup about each image and location. Whereas some photographers like to keep their locations “secret,” QT shows you the exact place where he shot each image. 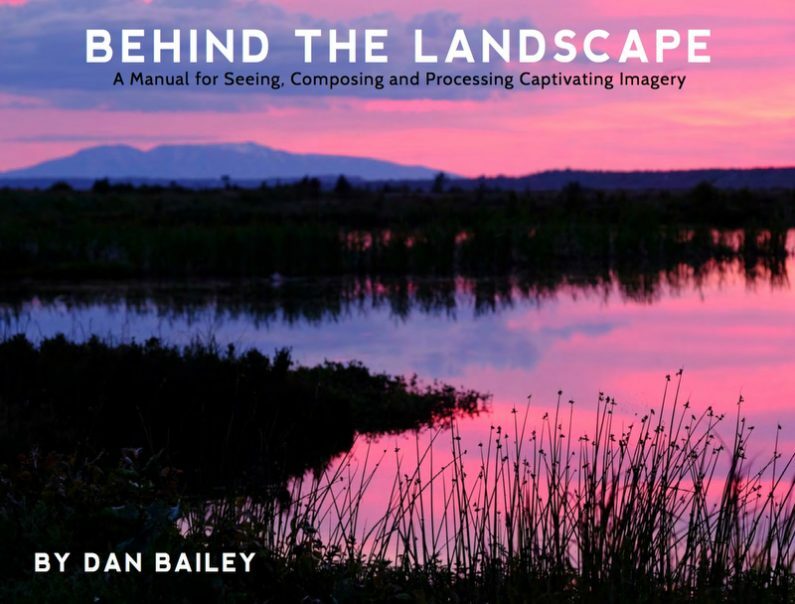 This is great for landscape photographers who are inspired to visit these parks and capture their own images of these wondrous places. 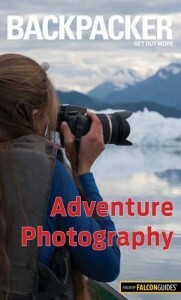 In that way, Treasured Lands can become a valuable resource for photographers. It can sometimes be a little overwhelming to try and plan a photography trip, given the vast size of many of the National Parks. This book can provide you with information that can help you in the planning process. And even though you may not want to go to all of the same places, QT’s book at least gives you a place to start. How fitting that Treasured Lands comes to us at the 100th anniversary of the National Parks. In fact, I cannot think of a better, more important and relevant time for this book to come out. Our National Parks are the greatest treasures we have in this nation, and they continually inspire people- artists, authors, explorers, photographers, hikers, climbers, adventurers, wanderers, lost souls, who come from all over the world to marvel at the magnificent beauty they offer. Anyone who has visited a National Park knows the magic they have and the powerful impact they impart on you when you stand in and gaze at the grader of these unique landscapes. You simply cannot help but be moved when you watch the sun set over the stacked ridges of the Great Smoky Mountains, gaze out over the endless tundra and river bars of Denali, stare with awe at the massive granite walls of Yosemite or hike beneath the unique and sometimes funky sandstone bridges and arches of southern Utah. Spending time in a National Park shifts your priorities. It makes you think and consider the real importance of things, as well as the real meaningless of other things. 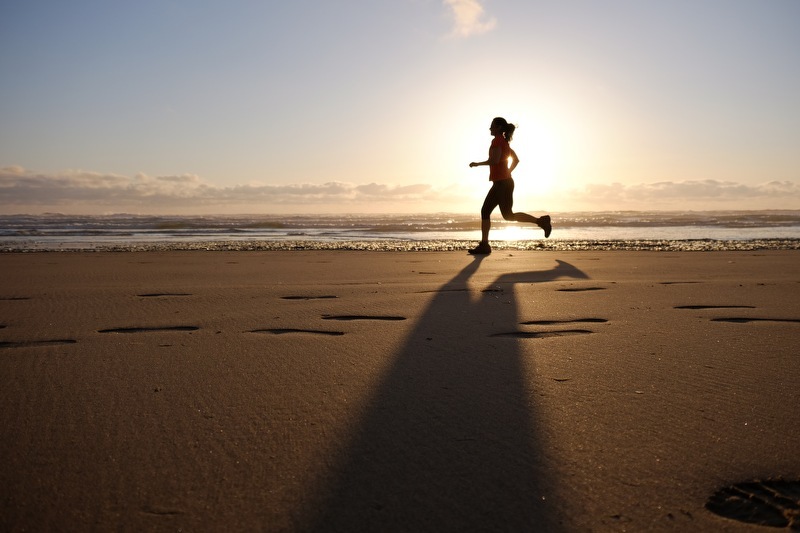 It cleanses your mind, body and soul and reinvigorates you with ideas and fills you with an appreciation for the things that were not made by man. This is why I think every single Senator and U.S. Representative, as well as every other person who holds a position of great power in this country should be forced to take a mandatory week-long field trip to Denali. It’s obvious that some of them just don’t get it. It’s unfortunate, and frankly unfathamable, that here in 2017, we find ourselves still having to fight for these precious places against ideas that would compromise the beauty and quiet stillness of our National Parks. And is there not at least a little bit of irony that it was the creative vision of a man born far outside of our country’s borders who was moved with so much passion by our own natural beauty to produce such a brilliant and important book for us? Treasured Lands reminds us exactly what we’re fighting for, and what we will probably always have to fight for, since the conservation movement remains extremely relevant and necessary across all generations if we are to preserve the true beauty of our nation. 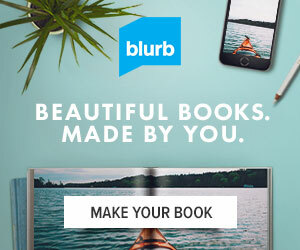 QT’s book beautifully documents the entire National Park System better and more comprehensively than probably any other book, video or compilation ever created. There is no more definitive photography collection of these parks in a single volume anywhere. For that, I feel we own him our gratitude. 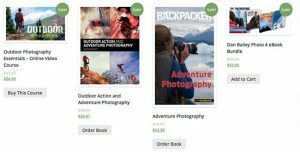 QT has inspired many photographers during the past 20 years, including me, and I can honestly say that after flipping through this book, I am excited to visit even more National Park in the coming years. 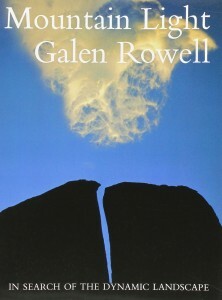 Treasured Lands is a truly magnificent volume and I know that it will inspire you as well. For the sheer size, content and artistic beauty of this book, it’s actually a remarkable value. Price aside, though, if you love landscape photography and appreciate the beauty of America’s National Parks, Treasured Lands is a book you will definitely want in your collection. 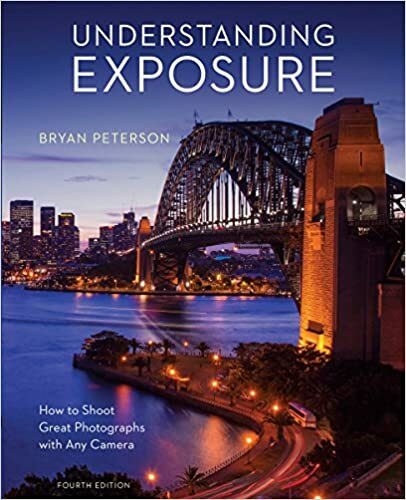 Note, if you buy it through QT’s website, you have the option of getting a personally signed copy, a special limited edition with slipcase, individually numbered and signed, or a PDF eBook which allows you to view the book and all the photography notes on your mobile device. 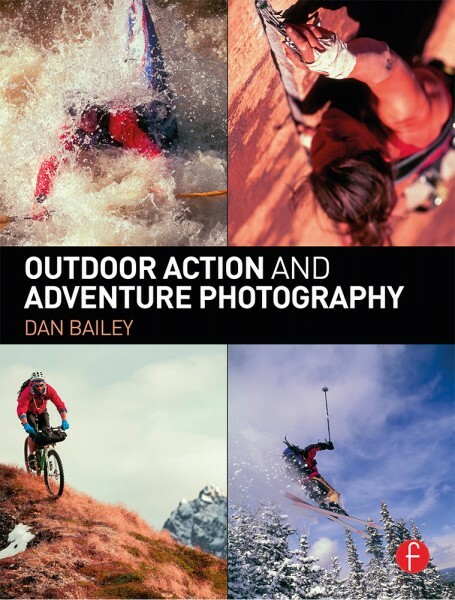 If you want to go deeper and expand your photography skills, you’ll want to take a serious look at my Outdoor Action and Adventure Photography book. 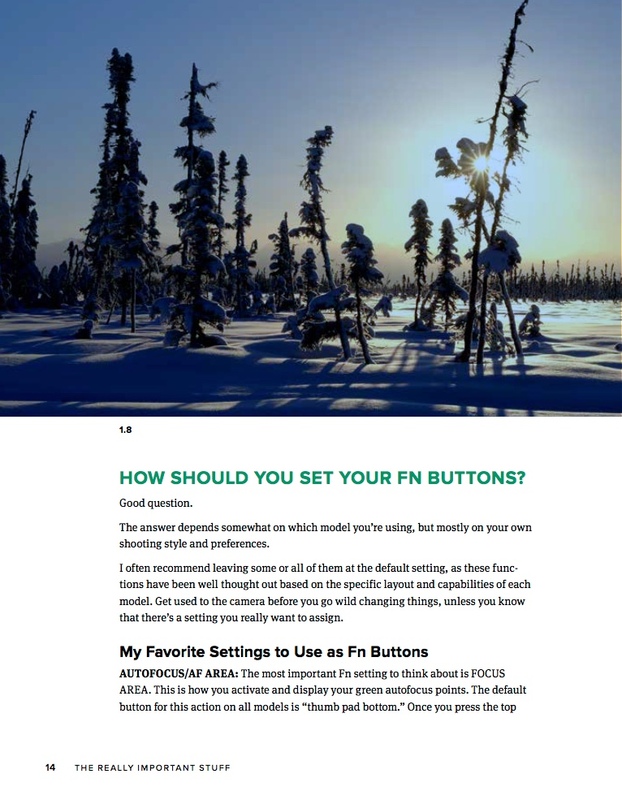 In fact, you can read an excerpt of the book here. 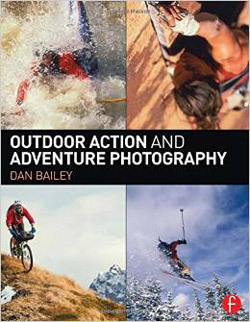 Published by Focal Press, it’s a 300-page, highly detailed manual that encompasses over 20 years of knowledge, experience and insight I’ve gained as a professional adventure and action photographer. In other words, it’s everything I know on the subject, at least up to the point when it was published. 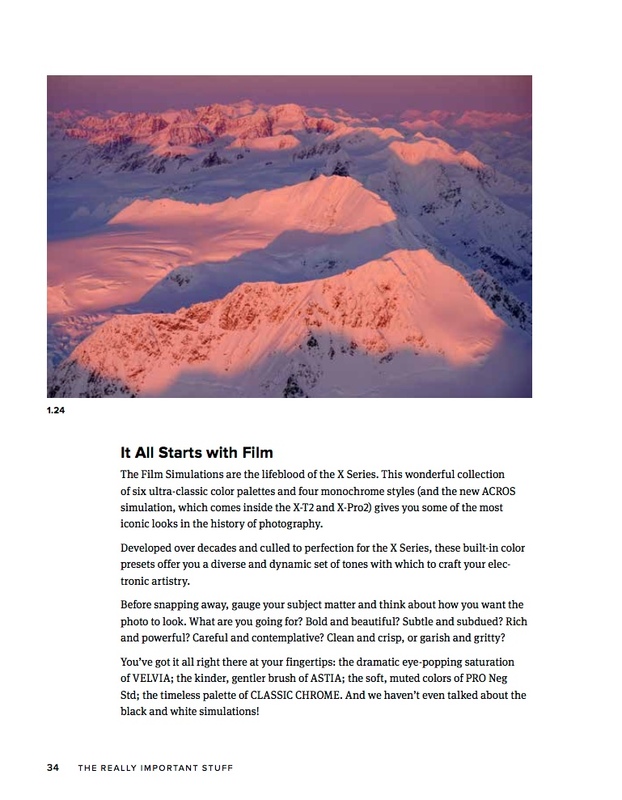 It contains a wealth of information that will help you become a vastly better outdoor photographer, even if you don’t necessarily shoot action and adventure sports like rock climbing, skiing or mountain biking. 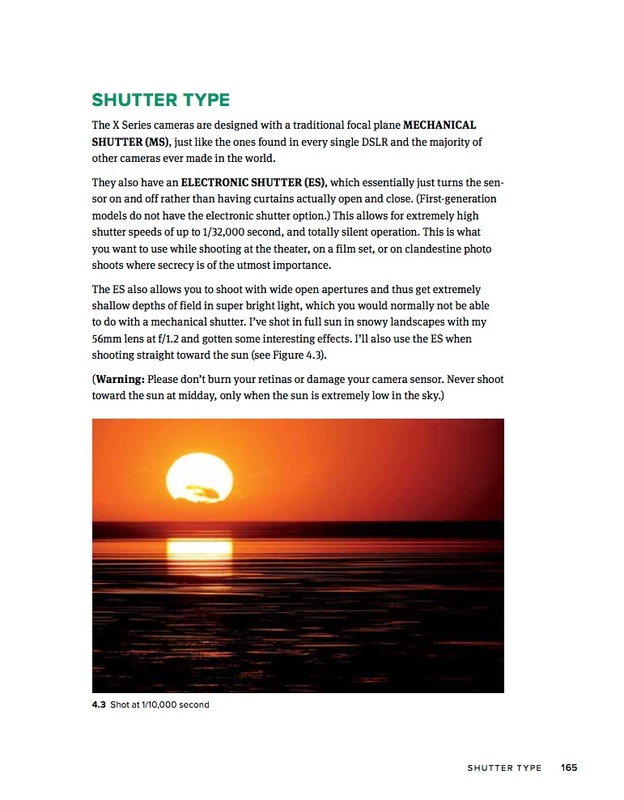 Much more than being an instruction manual about how to shoot certain types of subject matter, it’s about how to become a more proficient shooter, regardless of what you like to point your camera at. 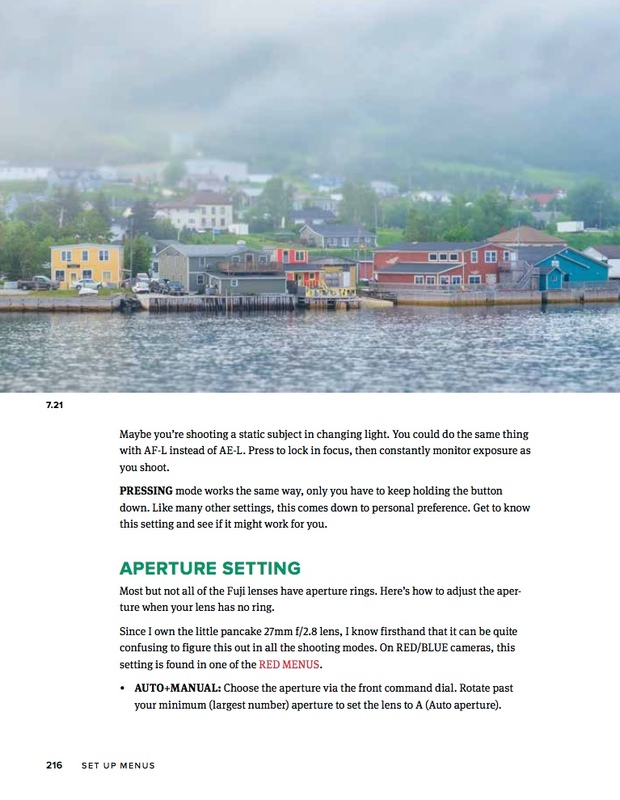 We all want to be quicker with our cameras, better at reading the light and more technically adept when it comes to understanding how to adjust your camera and manipulate the controls, and this book shows you how to do that. The thing is, when the light is great and you’re trying to capture a magical moment, the same skills apply, no matter if you’re shooting a downhill biker racing towards you at close to mach speed, a compelling environmental outdoor portrait of your friend, your totally erratic toddler children or grandchildren, the quickly fading light on a spectacular landscape, or your happy and excited golden retriever out on the trails on a summer evening. At that point, subject is irrelevant. You either nail the shot or you don’t. And if you succeed, it feels great, doesn’t it? 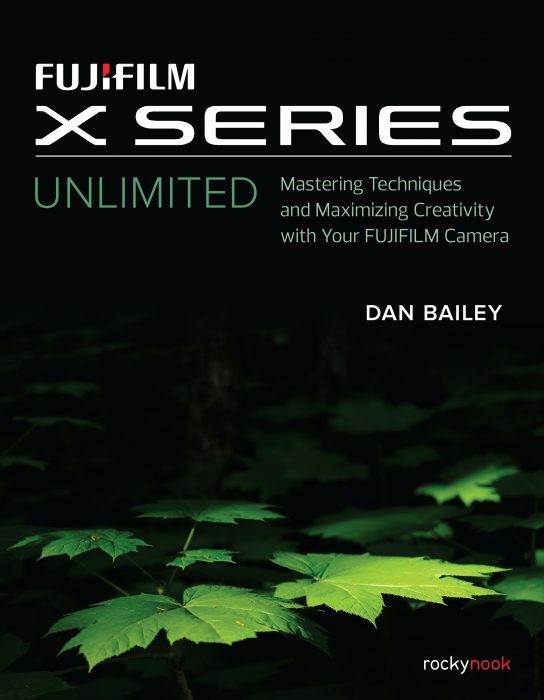 You want to maximize that kind of success with your camera. 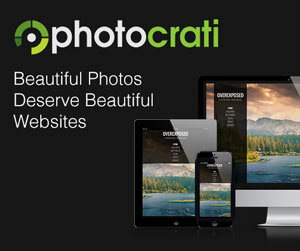 I pride myself on being a technically proficient photographer who can respond to any situation in the blink of an eye. At least that’s what I strive for, and over the years I’ve gotten pretty darn good at the whole camera thing, largely because I’ve shot so much action and adventure. In other words, I’ve gotten good at this craft, because I’ve spent so much time photographing subjects that are fast breaking, often unpredictable, and that usually require quick thinking and second-nature execution when it comes to my camera settings. That’s the message I put into my book. I want my readers to be able to react to those fleeting instances without even thinking. 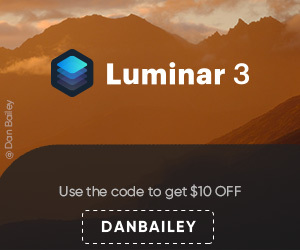 I want you to be able to nail those magical convergences of light, moment and background every time, or at least most of the time. As I always say, I love photography and I love when other people love photography as well. Capturing a killer shot feels as good for you as it does for me. We’re all the same in that regard. 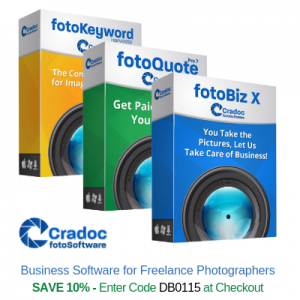 Let me help you be the best, most proficient photographer you can be. Read the first few pages of my book and see what you think. Also, check out the reviews on Amazon and see what other readers have to say. The print version looks and feels awesome in your hands, but of course, the Kindle version is easy to take with you and read anywhere, on any device. And it costs less than 20 bucks. That’s one lunch. Brown bag if for one day and you’ve already saved enough money to trade for a huge amount of photography insight that is guaranteed to make you a better photographer. As always, feel free to contact me or find me on social media if you have any questions about it or about outdoor photography in general. My Brand New Book is Out!